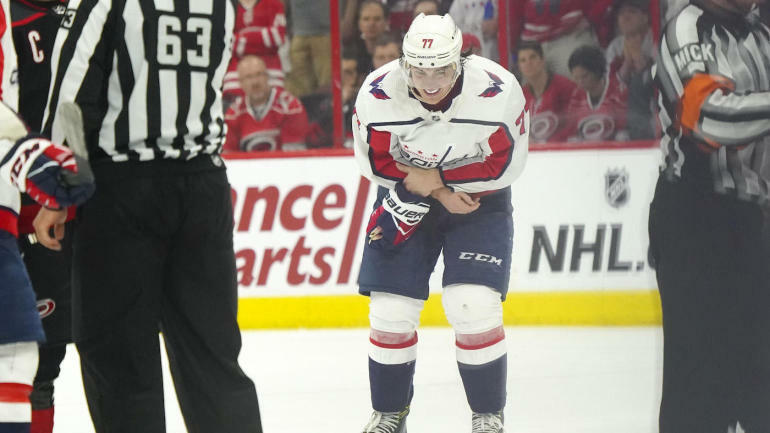 Washington Capitals star center Nicklas Backstrom has recently missed time in the KHL due to a neck injury. According to Russian Machine, his agent is unsure of how much time will be missed with the injury. The talented Swede has proven to be one of the most important parts of the Washington offense due to his playmaking abilities. During his five seasons in Washington, he has racked up 266 assists. If he is unable to start the shortened NHL season, new Capitals center Mike Ribeiro will play a key role in the early success of the team. Ribeiro is a veteran who has been in and out of the league since 1999. He spent the past six seasons with the Dallas Stars and proved to be reliable, never playing in fewer than 66 games in a year. If Washington heads into the opener without the services of its main center, Ribeiro should get the opportunity to lead the first line. The Montreal native is an assist machine. He has averaged 46 helpers per year since 2005. He's also a proven goal scorer, averaging 20 per season in that time period. Fans of the Caps should be excited to see the seasoned center play alongside Alex Ovechkin, one of the best goal scorers in the NHL. Having someone with the skill and experience of Ribeiro will certainly help the Caps, especially when Backstrom returns. Washington has lacked a true second-line center over the years, and Ribeiro finally fits that mold. During any absence by Backstrom, Ribeiro will be called upon to take his skills and be a first-line center. Depth, especially up the middle, is always important but will be even more vital during the shortened 2013 season that will likely include several back-to-back nights with games. Now that the NHL lockout is over and games are right around the corner, it's time to start looking ahead at what awaits the Washington Capitals in 2013. Backstrom is perhaps the biggest key to the Capitals' success. He is an excellent playmaker whose ability can change a game in an instant. Missing Backstrom will certainly hinder the Caps, but they should be used to it. The center missed 60 games during the 2011-12 season. The good news is that at this time, his injury doesn't seem too serious. No matter how much time Backstrom misses, fans should feel confident that Ribeiro will step up and take over as the lead set-up man for a talented Capitals team.